Gary M. Prusiensky has been a CPA (NC License #14389) for a long time, a lot longer than Justin. Back in the day, when the CPA exam was hard and auditing was “cool”, Gary worked for one of the firms that all claimed to be number 9 out of the Big 8. Following a traditional path, Gary left the CPA life to become a corporate stooge (aka “accounting manager”) for a for a billion dollar multinational business to travel the world and enjoy the 80s. Realizing he missed the action of public accounting, Gary left the corporate world for good in 1995 and set up his own firm. Gary has been a CPA (NC License #14389) for a long time, a lot longer than Justin. Back in the day, when the CPA exam was hard and auditing was “cool”, Gary worked for one of the firms that all claimed to be number 9 out of the Big 8. Following a traditional path, Gary left the CPA life to become a corporate stooge (aka “accounting manager”) for a for a billion dollar multinational business to travel the world and enjoy the 80s. Realizing he missed the action of public accounting, Gary left the corporate world for good in 1995 and set up his own firm. Justin Prusiensky (operations) is passionate about sales taxes and retirement planning. A CPA (NC License #34772) since 2007 and alumnus of Appalachian State University he is what locals call a “Damn Yankee”, especially since he stayed in Charlotte. Justin focuses on using technology to make your business better and hopes that one day technology will allow him to spend more time on the ski slopes during tax season. Until then, he is picking up the slack for Gary and helping clients navigate the wonderful world of NC sales tax rules. Justin (operations) is passionate about sales taxes and retirement planning. A CPA (NC License #34772) since 2007 and alumnus of Appalachian State University he is what locals call a “Damn Yankee”, especially since he stayed in Charlotte. Justin focuses on using technology to make your business better and hopes that one day technology will allow him to spend more time on the ski slopes during tax season. Until then, he is picking up the slack for Gary and helping clients navigate the wonderful world of NC sales tax rules. 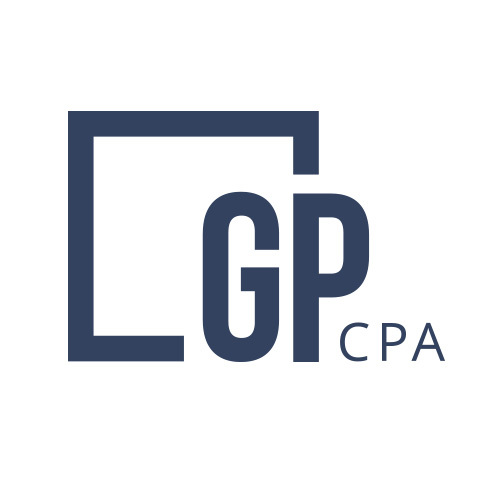 Connie joined GP CPA in 2014 and built an accounting and payroll foundation from past gigs at Ernst & Young, Toyota Motor Credit, and Lifespan. Connie is also an automotive expert and knows her way around the garage, tool shed, and the junkyard. Let’s talk shop about your business and how I can help. Connie joined GMP CPA in 2014 and built an accounting and payroll foundation from past gigs at Ernst & Young, Toyota Motor Credit, and Lifespan. Connie is also an automotive expert and knows her way around the garage, tool shed, and the junkyard. Let’s talk shop about your business and how I can help. Diane relocated to the QC from Idaho in June 2017 without ever seeing a potato field. She threw a dart, packed her car and hauled 14 years of public accounting experience across the country. She also spent many years fine tuning her number crunching in the private and corporate sectors. Multi-state accounting and multitasking are two of her specialties. Find Diane on LinkedIn. Zachary Fry is from Fort Mill, SC. He attended the College of Charleston where he received a B.S. in Accounting and beaches. He first went into the banking industry here in Charlotte, but decided to leave that behind and get into the exciting world of public accounting. In his spare time he enjoys doing long division and sudoku. He is currently pursuing his C.P.A.